In addition to my role on the leadership team at Church Community Builder, I have a somewhat unique set of skills. For most of my life, from childhood till today, I have been involved in ballooning. 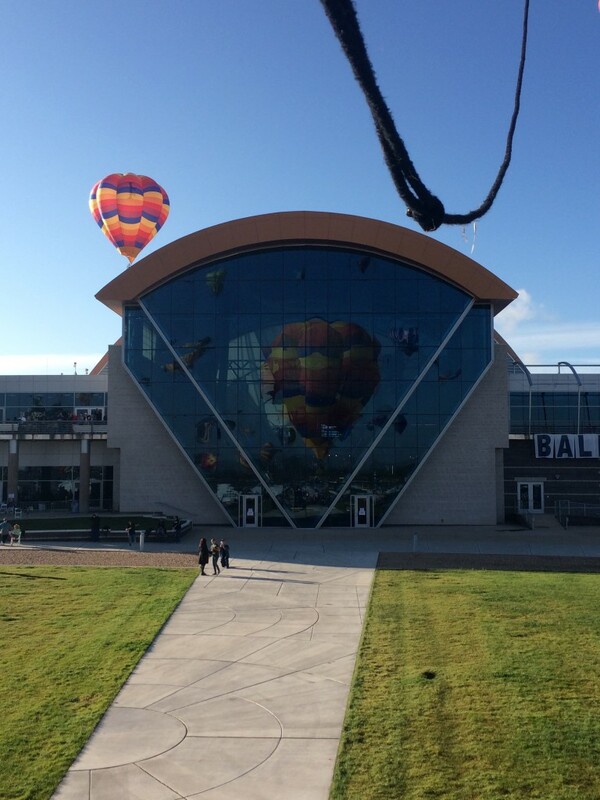 I am a hot air balloon pilot and spend much of my free time flying and participating in ballooning events. On the surface, the experience of flying balloons may seem unrelated to my day job … but in reality, it has helped me be a better leader. 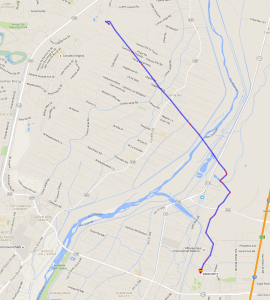 When we launch the balloon, we frequently have the intention of landing in a specific place. Unfortunately, balloons don’t have steering wheels, so we have to use the winds available to navigate to a landing. Much like leading people or implementing system change, there are some variables that a balloon pilot can control and many circumstances they cannot. I have learned how to plan for the things that I can control and respond to the forces that I cannot, while still aiming at specific target. 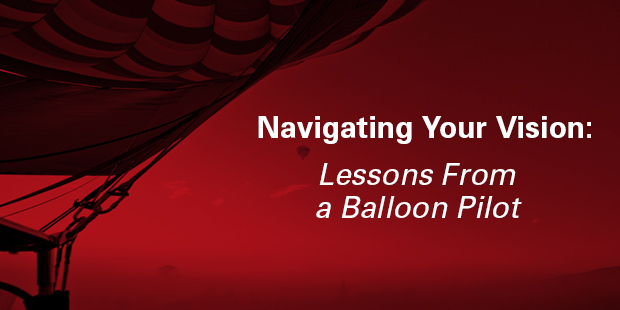 Here are three lessons leaders can learn from piloting a balloon. Prior to any flight, there is a plan. You don’t want to get in the air and then just ‘figure it out’. We could plot a path on a map and use a ruler to draw that line, but our actual journey won’t work out that way. There are obstacles along the way we have to go around, and there are well-worn paths we can use to move a little faster or a little more easily, even if they are not perfectly on track to our destination. Look at the path above. 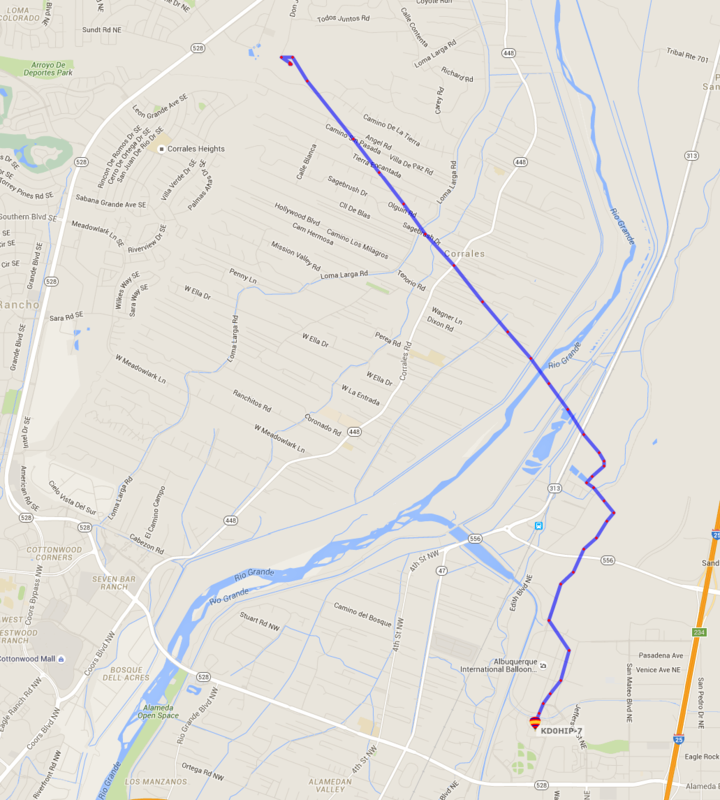 I started in the top left corner of the map on that flight, and landed within five feet of where I wanted, after 40 minutes and 5 miles. Something interesting to note about this path: If you look closely at my launch, it initially took me backwards from the goal. This is common in ministry as well. There are times we have to close down a ministry and shrink before we can grow in the right direction to achieve our vision. Planning is important — it is a must. But even in the best plans, there will be things that come up that were not anticipated. We don’t know what we don’t know. Planning is not something that is done once and complete. There are always in-flight adjustments that must be made. When we see our vision, or our landing place, we usually cannot just go straight there. You can’t tackle every problem straight on. You may notice that the first half of the flight was very straight, but not in the right direction. If we had continued in that direction, we would have missed our target by a long shot. That path was not direct, but it was setting us up for the last half of the journey. I recently worked with a church that was growing a teaching team to reduce the dependence on the senior pastor. The quality of the preaching went down for a time, but it set them up in just the right way to really thrive. I remember this flight. After I had crossed the river and was in the wide open spaces again, I almost gave up on the vision. There were many great landing places that would have been ‘just fine’. I had to keep my mind fixed on the destination. Specifically, I had special guests on board and I wanted to show them a great picture opportunity. As you approach your target, you may be tempted to let down. It has been a hard and long journey getting here and you may find yourself asking if this is close enough. This ‘good enough’ syndrome is tempting for all of us, but should be resisted. If I had landed somewhere else, my guests would have had a great day. They would likely not have known what they missed out on. But by pushing on to the target landing spot, they had much more than great day. They had a spectacular experience that was awe-inspiring. Even when your path twists and turns, you have to keep your eye on the prize and go the whole distance. You have a vision; now plot a path. That path will have diversions and convenient stopping points, but you can ensure your path gets you to the goal. Identify those distraction points as best you can so that you can remind yourself and your team there is a bigger destination in mind, even though this one seems nice enough.